Bob Newberry at Clear Channel in Birmingham, Alabama, oversees engineering at 11 radio stations plus 4 HD signals. Pushing the technology envelope means using new IP-radio technologies along with IP telephone systems - and both areas give Bob more options, better quality audio, and some money savings, too. 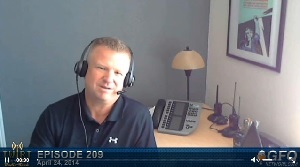 Joe Talbot from Telos joins me talking with Bob about learning SIP technology while putting it to good use. 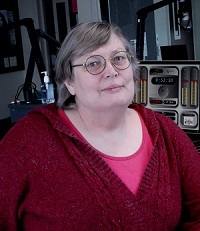 Nationwide daily drivetime radio shows, plus a huge weekly countdown show all emanate from a remodeled studio building in Nashville. It’s the Cumulus NASH studios, home to American Country Countdown, America’s Morning Show and Nash Nights. These state-of-the-art studios are built for multimedia production including video streaming and live concerts. Cumulus Nashville IT Director and Engineer Zach Harper gives a tour to the Nashville SBE chapter, and we brought our video camera along! This month's attic treasure is a 1968 ITT Mackay Marine 3010-C. If you've served shipboard or been around maritime HF receivers, you know that this type of equipment is in a class by itself. Design specs demand reliable service in harsh environments, the ultimate in sensitivity, and reception of MW, CW, MCW, SSB and FSK signals within its frequency range.Weight, bulk and expense are not a problem. Since 1992 SNMP has been used to manage IT devices over IP networks, now engineers can manage networked broadcast equipment, too. Charlie Toner is an SNMP expert. He explains how good use of SNMP affords control of your broadcast devices, codecs, transmitters, and automation systems. Plus, we get clues on how to create a robust network environment of managed broadcast devices with SNMP. This trip to the attic brings us a 105 Square Wave Generator. Mention Tektronix and most people think of world class oscilloscopes. 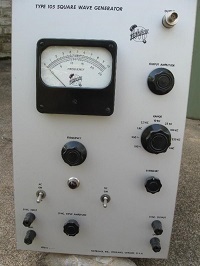 What is less well known is that the Beaverton, Oregon company also made other types of test equipment. As they were constantly pushing the envelope of oscilloscope performance, it soon became apparent that there was a lack of devices in the field capable of keeping scopes in calibration. So Tek got into the test equipment business as well. Resolving issues regarding Axia GPIO for on-air lights is a topic that comes up on a regular basis, and this month's Tech Tip question was a good reminder that we need to cover it again!